Non-use of a mark for a period of 3 years from registration renders it open to an action for cancellation by third parties. However, a rehabilitation tax can be paid on an annual basis in any year of the current term of a trade mark’s validity that it has not been used. It is also possible to pay the rehabilitation tax in arrears in a lump sum, provided that this is done before the commencement of an action for cancellation by a third party. Annuities Annual renewal fees are due in respect of the third and each subsequent year from the local Honduran filing date, and must be paid in advance before each anniversary of that filing date. Duration Designs are registered for an initial term of 5 years counted from filing date, but this term is extensible through the payment of two additional quinquennial taxes for a maximum protection term of 15 years. 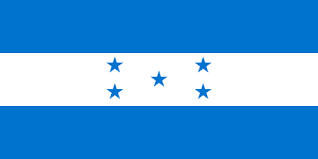 As you are no doubt aware, Honduras became a member of the Patent Cooperation Treaty (PCT) on 20 June 2006. Until recently, renewal fees have only been payable in respect of PCT national phase applications in Honduras from the 2nd anniversary of the international filing date onwards. In other words, only payment for the 3rd year of protection of the PCT application onwards has been required.